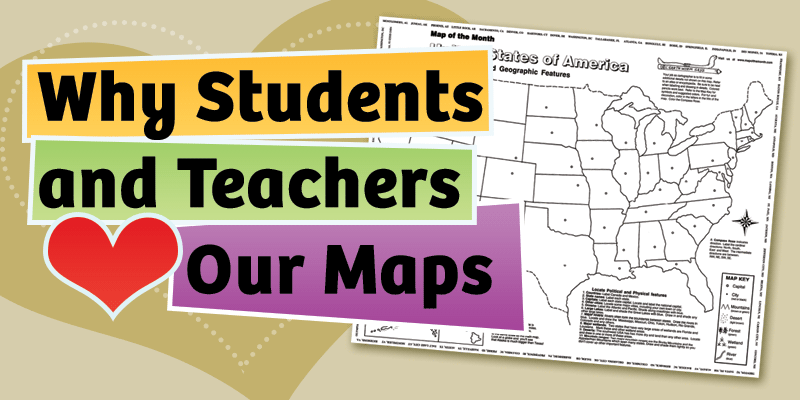 As many teachers of American history know, the month of May marks is a special anniversary! We celebrate the anniversary of the beginning of one of the most famous journeys across the United States. 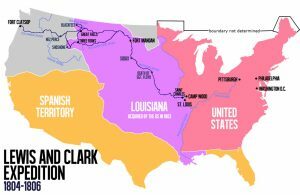 Starting near St. Louis, commissioned by President Jefferson, Meriwether Lewis and William Clark set out to cross the country with a mission. After the Lousiana Purchase in 1803, President Thomas Jefferson chose to explore that newly acquired area, as well as the Northwest. The team was called The Corps of Discovery. 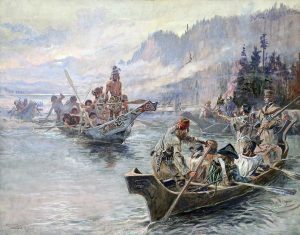 The group left Camp Dubois on May 14th, 1804. The leaders had a detailed plan. First, they would study the area’s plants and animals. They also wanted to learn more about its geography. This meant carefully mapping the areas they covered. 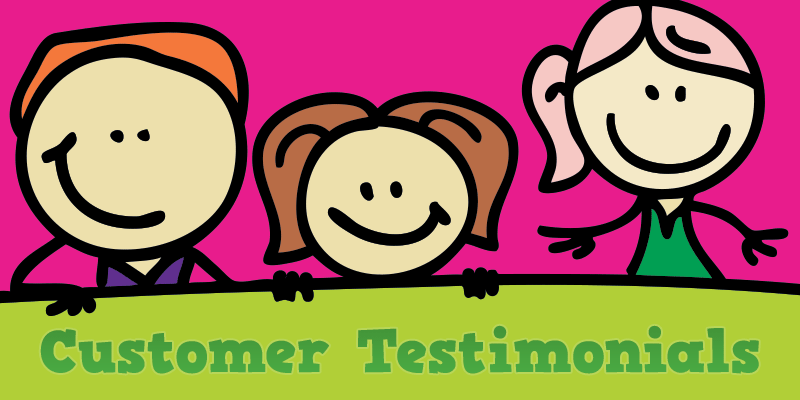 Another goal was to trade and and interact successfully with Native American tribes. 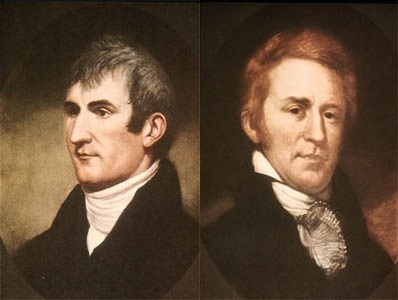 From May 1804 to 1806 these men and the members of their group traveled to explore these areas. They studied the topography of the land as well as the many plants and animals native to the areas they traversed. 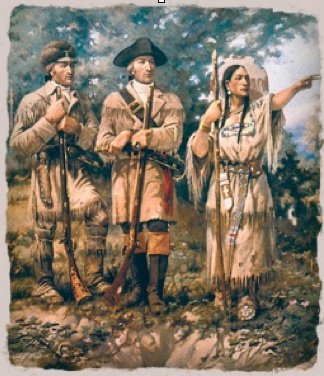 They encountered native people and even had a female native guide in Sacagaweam, a Lemhi Shoshone woman. The maps that they produced from their famous journey changed the way the West was viewed: people finally knew what the land was like, the locations of the Columbia and Missouri rivers and the Rocky Mountains. 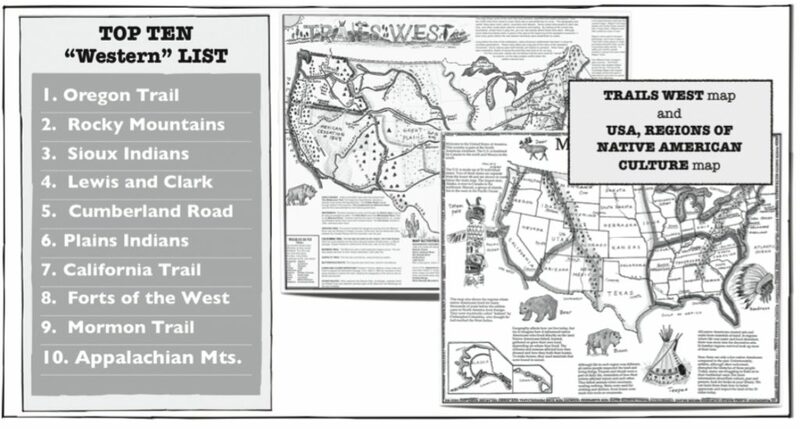 Make it easy to present all of the famous trails you study in your classroom. 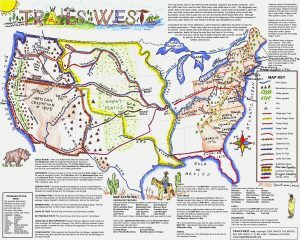 Our large, easy to use TRAILS WEST map has a great MAP KEY that allows students to plot all of these trails on a large, easy to label map! 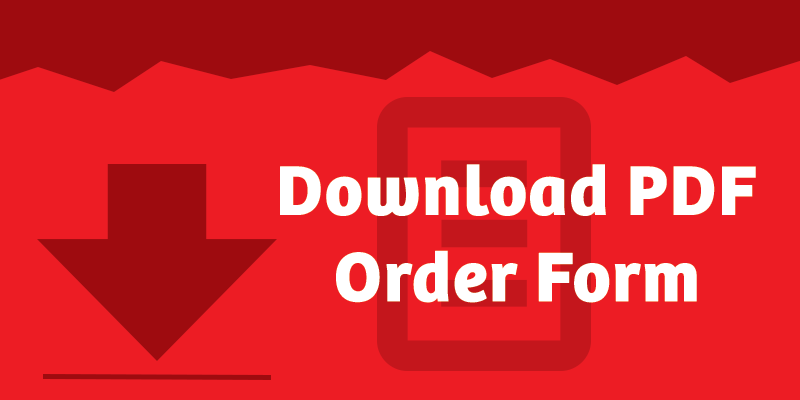 Click on these images to see them larger! Students color-code the many trails shown in the fun-to-use MAP KEY. 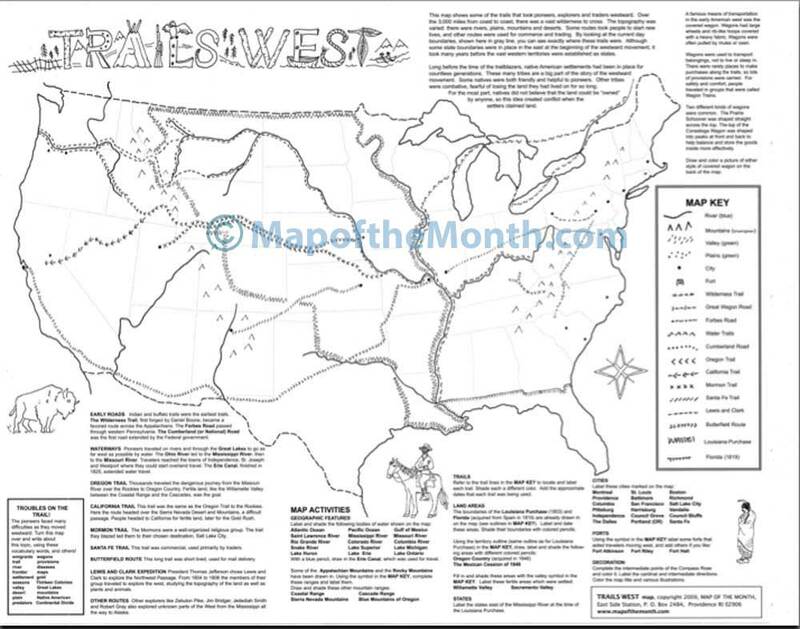 For more westward movement maps to share with your students, see this link from the National Park Service. 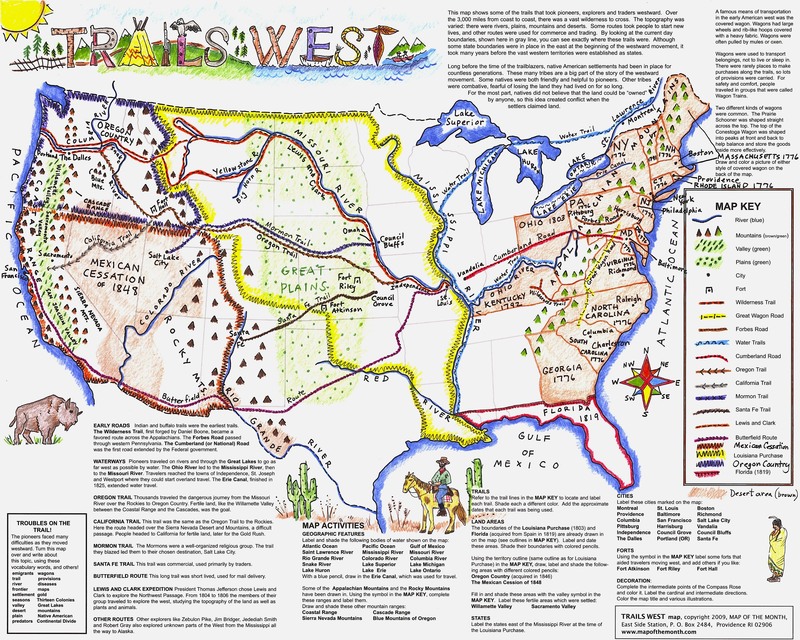 See our popular TRAILS WEST map HERE! 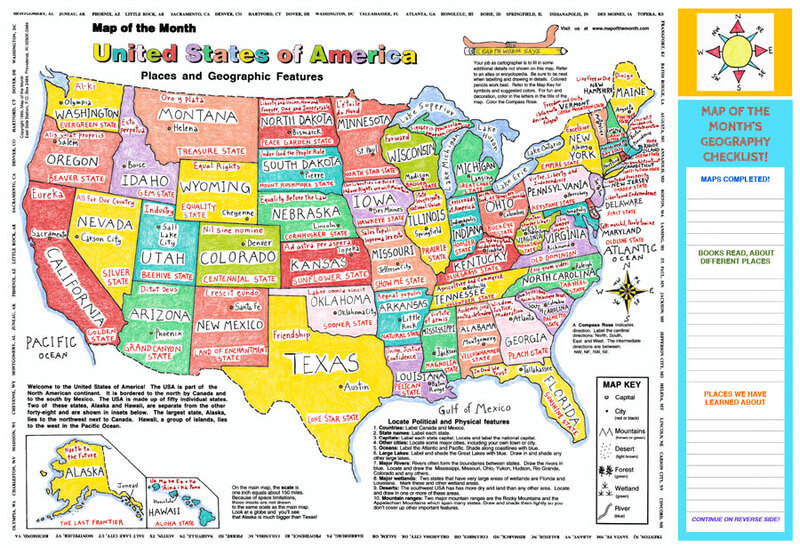 See our USA, Regions of Native American Culture map HERE!